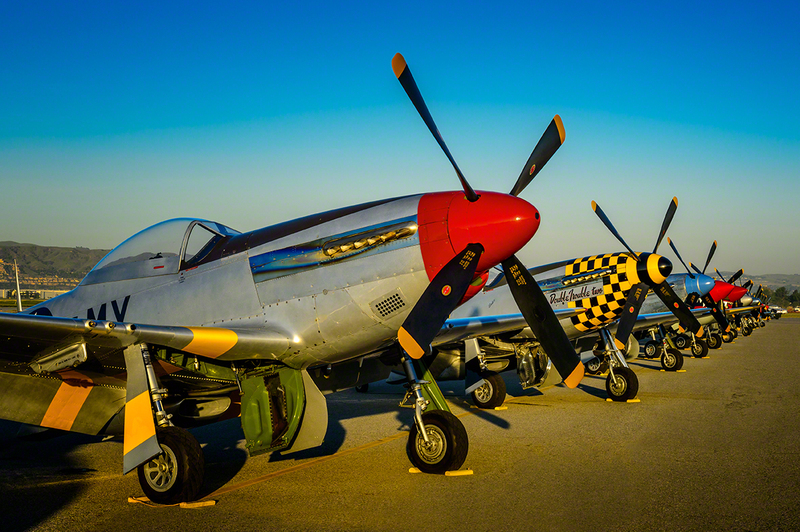 Jake Peterson reports: “2014 Planes of Fame Airshow” presented by the Planes of Fame Air Museum of Chino, CA is just one of the greatest airshow in the world. 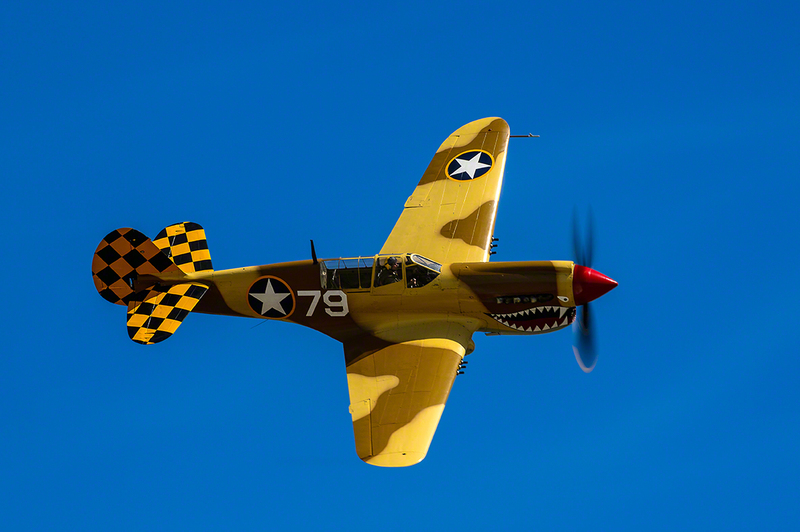 Over the past several years the Planes of Fame Airshow has been recognized as one of the best Warbird Airshows in the country. 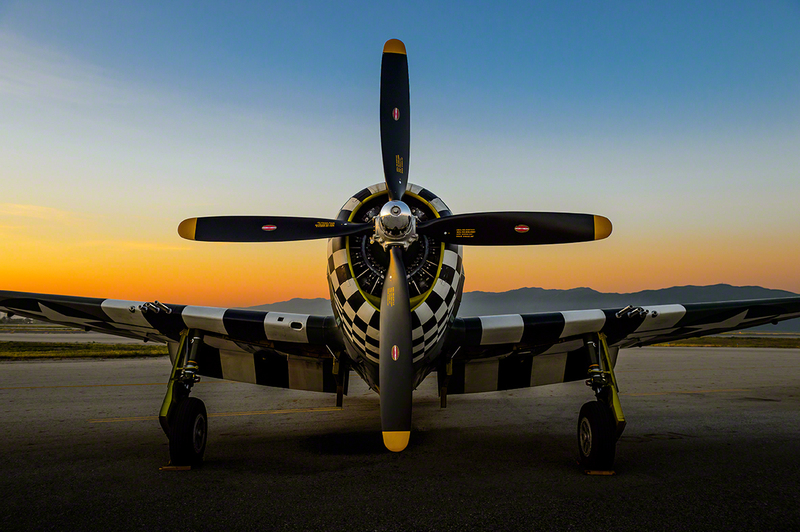 It’s no surprise as the airshow is based out of Chino Airport, home of the Planes of Fame Air Museum which houses some of the rarest and most interesting aircraft left in the world. 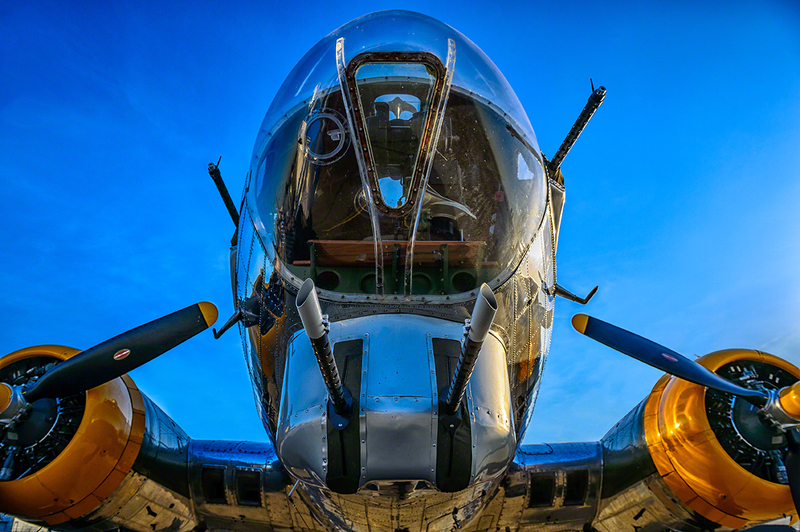 Each year the Airshow is centered on a theme and this year it was a salute to the mighty Eighth Air Force. The Eighth Air Force was based out of several bases throughout England and served to break the manufacturing and supply lines of the German war effort. The overall goal was not only to gain air superiority over European skies but also to clear the way for Operation Overlord. The Eighth began in January of 1942 and lasted until the German surrender of 1945. In 1944 the VIII Bomber command, along with Fighter and Supply command, was designated the Eighth Air Force which remains in service to this day. By 1944 the Eighth Air Force had grown to an estimated 350,000 Americans, over 2,000 four engine bombers and 1,000 fighters. The Eighth’s aircraft roster consisted of B-17 Flying Fortress’s, B-24 Liberators, C-47/C-53 Skytroopers, P-51 Mustangs and P-47 Thunderbolts. It was one of the greatest achievements of manufacturing capabilities of the wartime effort. Over fifty four warbirds showed up for this year’s event; eleven of those planes were P-51 Mustangs, five P-47 Thunderbolts, three B-25 Mitchell bombers and two B-17 Flying Fortresses. 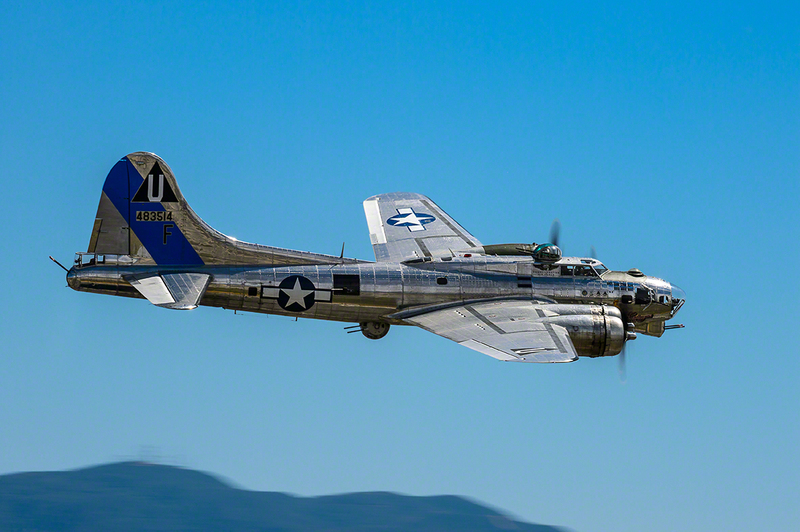 It wouldn’t be a salute to the Eighth Air Force without B-17 bombers and two showed up; surprisingly enough both were G model Flying Fortresses, Sentimental Journey of the Commemorative Air Force Arizona Airbase and Fuddy Duddy of Lyon Air Museum. Each day both planes would take to the sky during the reenactment of the European theater. Along with the bombers were the fighters both friendly and foe. The Planes of Fame Focke Wulf 190 was the enemy of the day as it did its passes for the crowd of spectators. 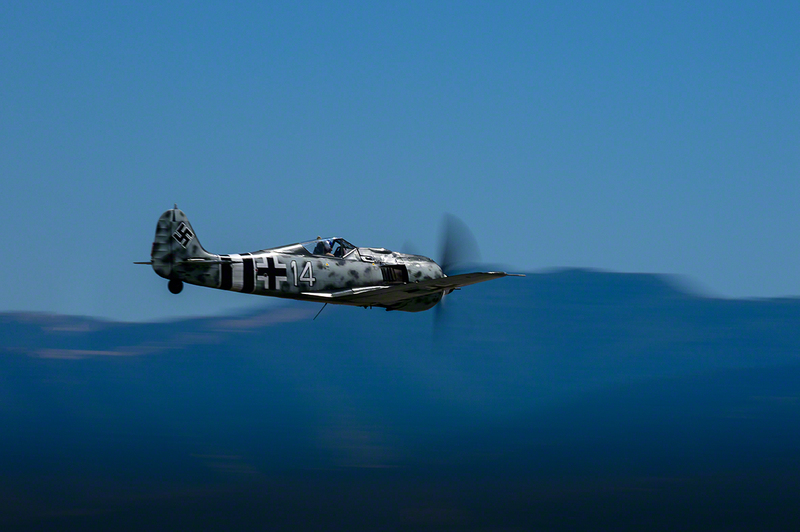 The Focke Wulf had its hands full chasing done the B-17s as the Mustangs, Thunderbolts, a lone Spitfire and even a P-63 KingCobra were trying to get him. 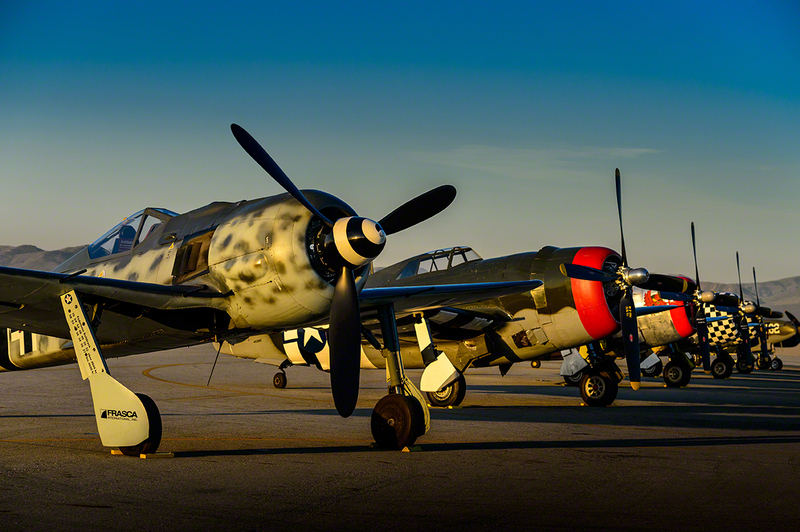 One of the highlights of the show was the gathering of P-47 Thunderbolts. These planes are very rare with less than a dozen flying today and many more in static displays. We were fortunate to have five examples at this year’s airshow, one being a static display as it was part of Yanks Air Museum. The other four performed a missing man salute together and then proceeded with individual passes over the field. The only two P-47 Razorbacks were part of the demonstration, the museums P-47G model 42-25254 and the privately owned P-47G Snafu in the colors of the 84th Fighter Squadron P-47D 42-74742. The other two are privately owned bubble canopy models, one is a P-47D Hun Hunter XVI owned by Neal Melton and the other is a P-47D model owned by Alan Wojcaik. 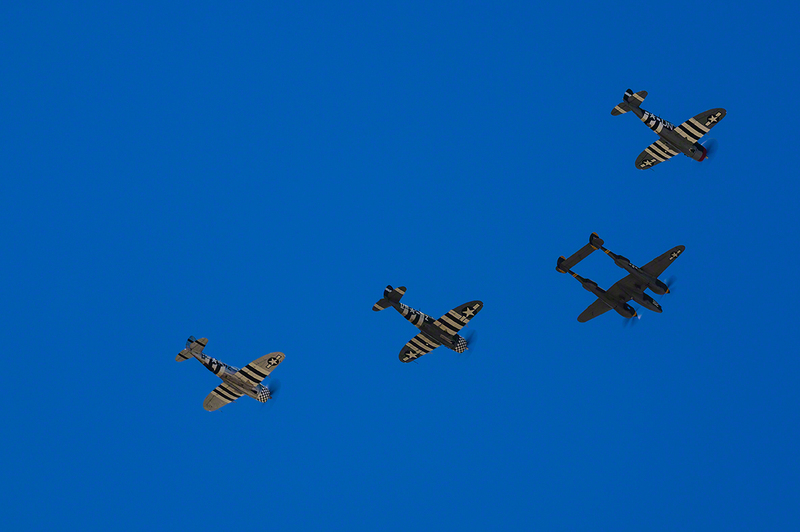 The planes flew overhead showing off their invasion stripes as if they were going into combat. Despite only being a two day airshow it truly was nonstop action as planes from all different eras and fields were flying overhead. Corsairs, TBM Avengers, an SBD and even a Zero were some of the aircraft part of the Pacific Theater recreation. While the F-86 Sabre, Mig15, Mustangs, a Skyraider and a Yak-3 were flown during the Korean demonstration. It was nonstop action in the media pit as our cameras were swinging left to right with every plane as it went by. Among the performers was the Bremont Horsemen Aerobatic Team which is a sight to see in its own. 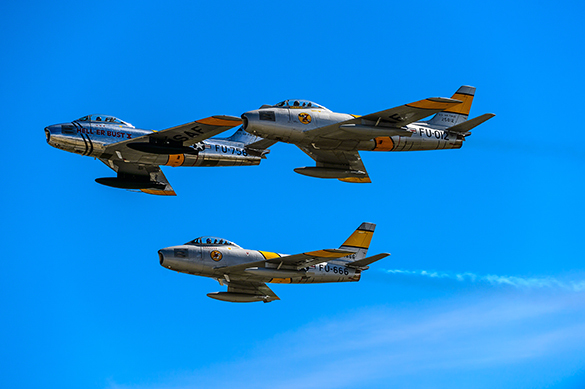 Three Mustangs take to the sky in a formation routine that is like no other. They flew so close together through their loops that it’s almost unbelievable. Then later on they switch over to their F-86’s for a three ship formation with the Korean era fighter, doing the same routine with a great risk factor. It is truly a testament to their skill what these pilots can do. One of the familiar faces to return to the airshow scene this year is the F-22 Raptor. After the sequester it was unknown when and how often military displays would be seen, but now it appears that they are back in full swing with appearances all over the country and for that one weekend, two F-22’s were at Chino. 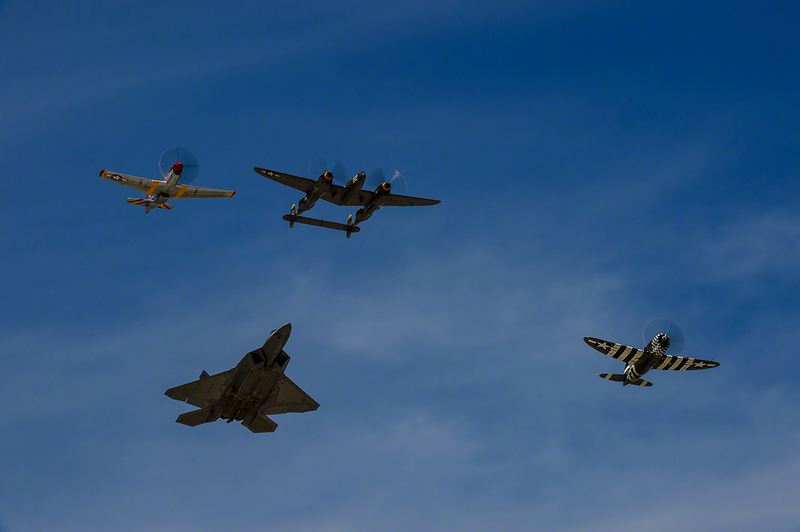 Both days had a great display of what that plane is capable of and to finish off each display the F-22 joined up with a P-38 Lightning, P-51 Mustang and a P-47 Thunderbolt for one of the best heritage flights I have ever seen. Over seventy years ago a bunch of our leaders, some army brass and some English men got together and came up with a plan to end the war in Europe. They selected companies to build planes, areas where bases could be built and men that could fight. These ideas made the Eighth Air Force and it is those men and the hundreds of thousands of others that did fight that we celebrate today. More pictures from Jake Peterson. Click HERE to visit Jake Peterson’s website.